Un footing, le timing, un people – these are all French words! Of course, they sound English but they have been stolen, or should I say adapted, and mean something completely different in French. Un footing is the word for a jog. Un people is the singular of les people, meaning film and TV stars and also now famous French male politicians and their latest girlfriend! Someone left a meeting I went to the other day and said it was because of his “timing”, meaning he had something on, or a rendez-vous. But the boot is on the other foot now as “un rendez-vous” in French is a meeting, whereas in English it can mean an assignation (we’re back to those politicians!). So where does that leave us when it comes to learning and speaking French? Well, don’t let it put you off. It’s part of the fun, picking out those franglais words and working out what they mean in our favourite country. 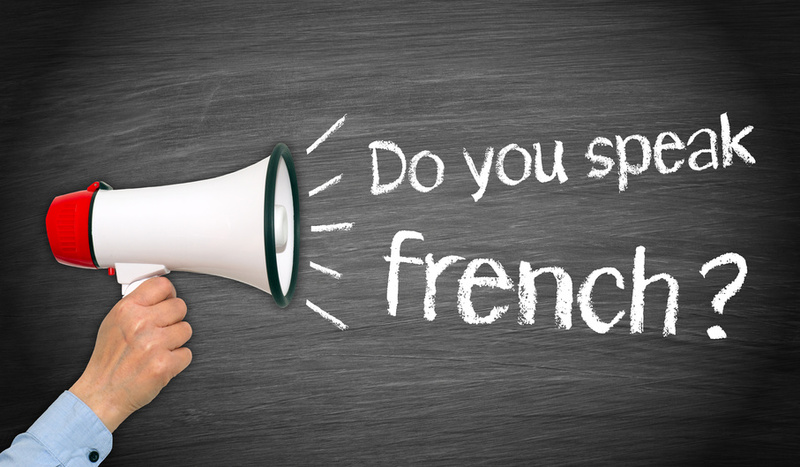 You may be hesitant about using the French you learnt at school or about starting to learning it. Don’t worry. Be encouraged that the French are often even more shy than the English in using a foreign language. So when you come out with some faltering phrases, they will be delighted and encouraging. They will also respond by digging out some English from their past. Communication will follow, aided no doubt by an apéritif or two! Bear in mind that accent is not important. Having an English accent has a particular charm, so there is no need to lose it. Intonation, however, is crucial and makes all the difference between being understood or not. There are two things to know about intonation. The first is that the stress is placed in on the last syllable in French words, so where we would say timing with the stress on time, the French will say “timing” with the stress on ing, the same with “le jogging”. Where we say rendez-vous, the French say “rendez-vous”. In English we tend to go up and down in our speech. The French, when they notice this, say we are quite musical. When you say a French phrase you stay on the same level until you come to the end of the phrase when the voice goes up. This happens at the end of each phrase and sentence until you come to the end of what you are saying, when the voice goes down. Listen out for this as in conversation with French friends or as you watch French TV. Where’s the best place to learn and improve your French? Well, it’s got to be in France with the French and by the way, the French won’t use the word “improve” they say perfectionner – so take it as a compliment if they say that to you. The BBC has a very good series for beginners called Talk French with useful cultural tips. If you already speak French quite fluently, but would like to improve, a good site to go to is TV5Monde. Here you can choose a level from beginner to advanced. There are video clips with self-correcting exercises. If you’ve got the time you can learn lots of up-to-date vocabulary. Finally, and very importantly, don’t forget the body language. When you meet French people for the first time, make sure you offer your hand and say Bonjour (and enchanté if you are introduced). When you meet people in a walking group or gym class or neighbours you see frequently, don’t be shy to shake hands or give them a kiss on both cheeks, and again when you say goodbye. If you hold back from this, something will be missing. It’s what the French do. When you’ve mastered this without the accompanying words, you’re well on the way to being part of local life. Elsewhere on You Tube you can learn plenty many more French gestures. 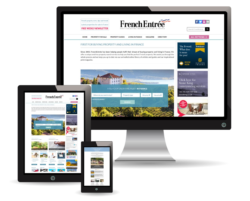 Stephen Winton runs a website about retiring to France.